Not many loaves I have made as of yet can hold a candle to the beauty and sweetness of this loaf. Surprisingly simple and quick (in the world of yeast breads) I was pleasantly surprised. I chose this beauty for just that. The look. I wanted something to put on the table that would have some presence. From Baking with Julia… the best book in the world. Proof your years in the warm water. whisk in the scalded milk (make sure its cooled a little first or you will cook your eggs), sugar, salt, eggs, and crushed cardamom. 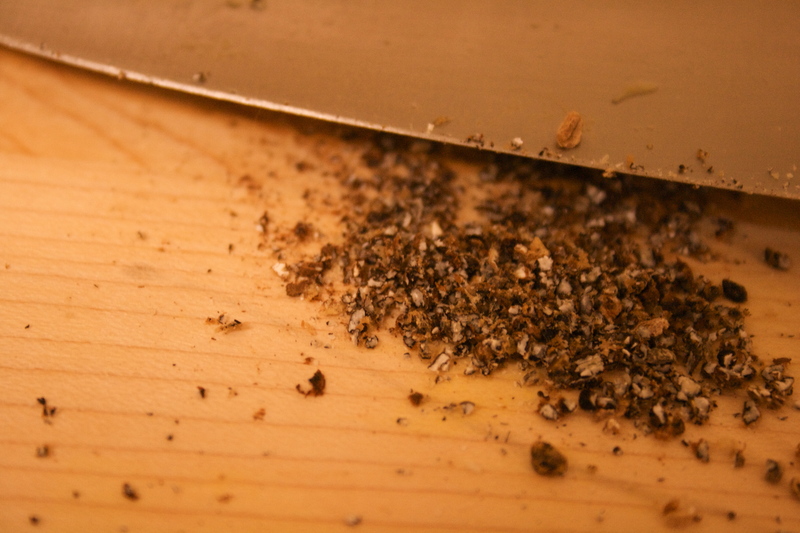 Julia recommends using your coffee grinder and enjoying this spicy addition in your next pot. Or you can use a mortar and pestle. Or, like me just chop. Using a wooden spoon stir in 2 cups of flour. Beat in the butter. Add 1/2 cup of flour at a time until it is stiff but not dry. This part was confusing for me, but when the time comes you will know what I mean. Let it rest for fifteen minutes. Turn onto floured surface and knead for ten minutes, until its satiny and not sticky. Let it rise in a greased covered bowl for about one hour until its doubled in bulk. Divide the dough into three equal slices and roll each one out into a 36 inch log. This is where I rushed and you should note it is best to take time here and make the logs as even as possible, hence my uneven wreath. 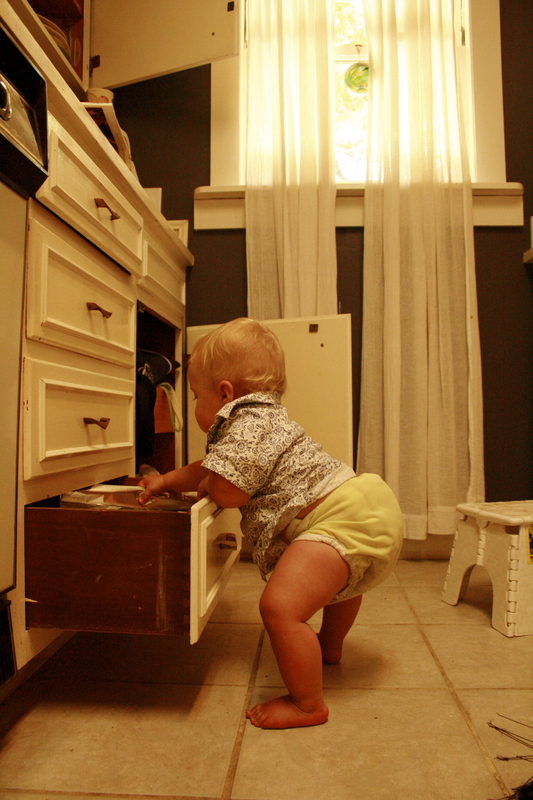 You see I had a helper…. Braid them and turn them into a neat circle. Place on a parchment lined baking sheet (preferably without edges). You can add a bow if your wreath needs a little help where you connect the ends. Let it rise once more for about 45 minutes with just a kitchen towel tossed over the top. This should be about forty-five minutes. After, brush on your egg wash, sprinkle with sugar and almonds. Finally, bake it at 375 in the center rack for 25 minutes until toasty brown. Place on your table for an eminently delicious dessert or a perfect partner to tea or coffee. 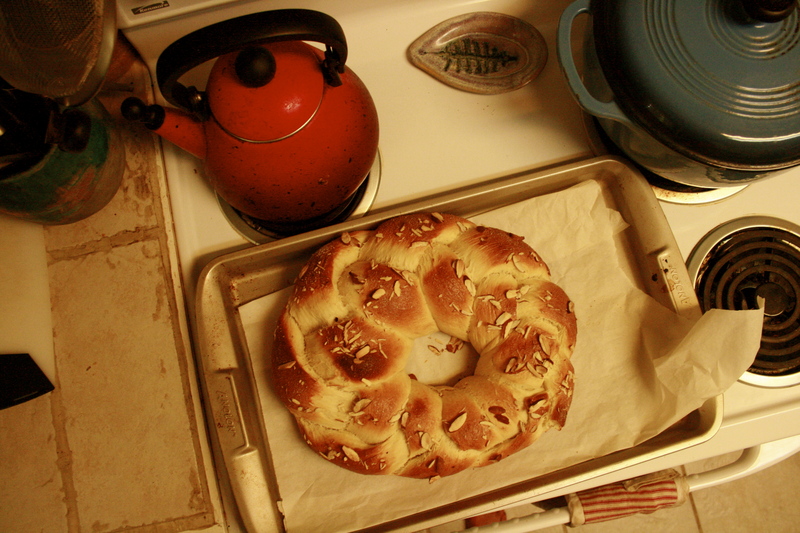 This entry was posted in the year of bread and tagged almonds, baking with julia, bread, cardamom, finnish pulla, julia child, new years resolution. Bookmark the permalink. Thanks for the inspiration! Something must have been wrong with my yeast because I ended up having to leave it overnight to get it to rise that much. Thankfully things seemed to have turned out well and we had some this morning for breakfast! well that sounds like it worked out quite nicely!